Back in January of 2015, Kelly and Danny were searching for love in a hopeless place - Tinder. For those of you who don't know, Tinder is an online dating app where you look to connect with other singles. If you like the individual's profile, you swipe right and hope that the other person did the same. It was a fairly new app at the time and both Kelly and Danny decided to give it a try. Sure enough, Kelly and Danny both swiped right. As they began talking, they quickly realized how much they had in common. From Danny's family camping trips in the Berkshires to Kelly's family vacations at Wells Beach, the two had definitely crossed paths over the years and they are very thankful that Tinder helped to bring them together. 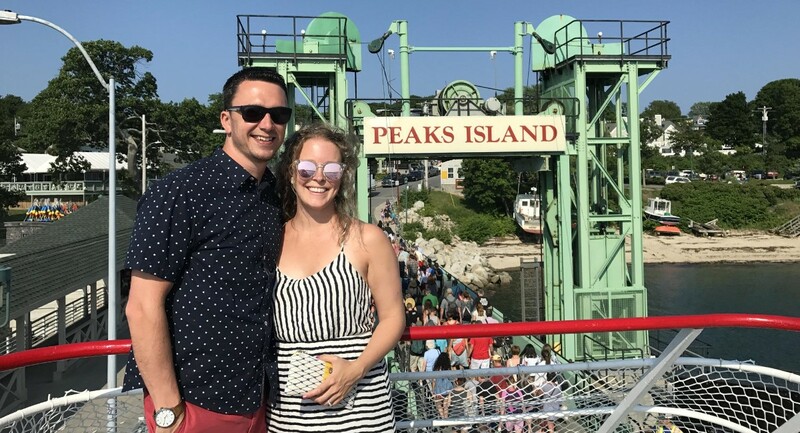 In June of 2018, Danny proposed to Kelly in one of their favorite places - the Marginal Way in Ogunquit, Maine. Vacationland has always held a special place in their hearts and they are very excited to be getting married in Portland in the summer of 2019. They truly appreciate all of the love and support from their family and friends and hope that all of you will be able to join them on their wedding day!